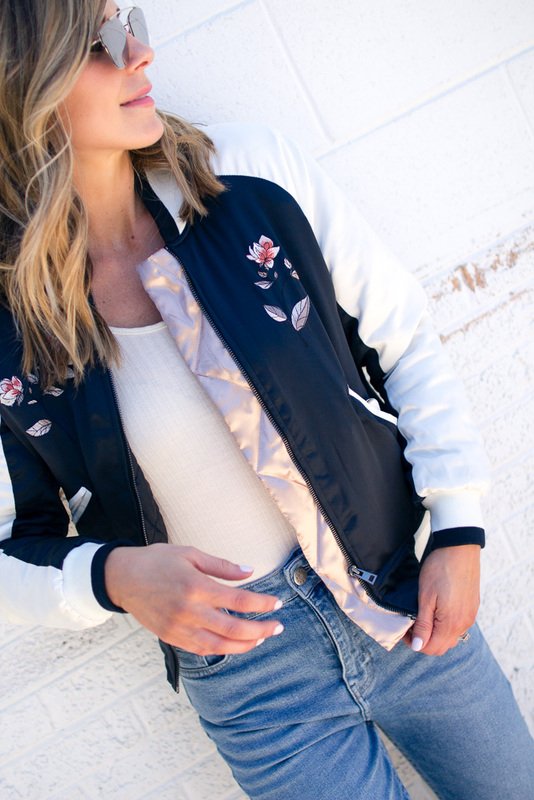 Sportswear is definitely having a moment right now, and what better way to ease this trend into your daily wardrobe than with a bomber jacket? A perfect transitional piece to take your outfits from Summer to Fall. 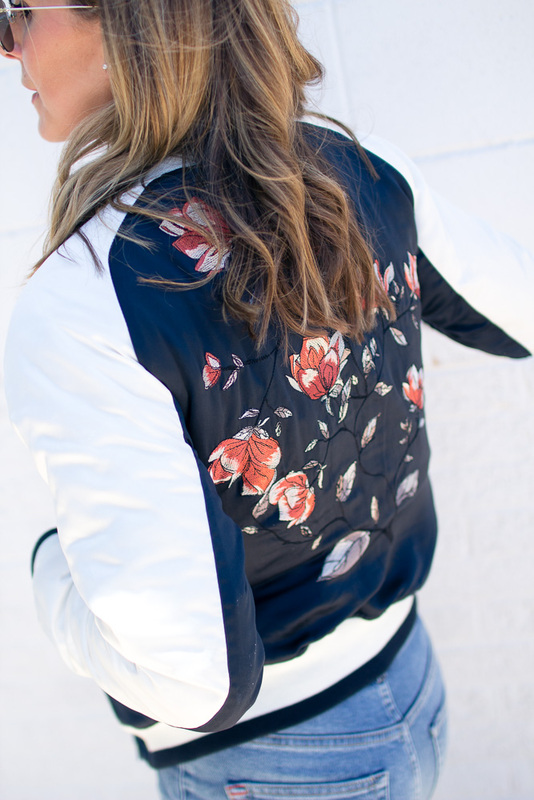 This season’s bomber comes in a darling range of colors and designs for those who want to be adventurous beyond from the classic black look. And they don’t have to be ultra sporty or masculine. 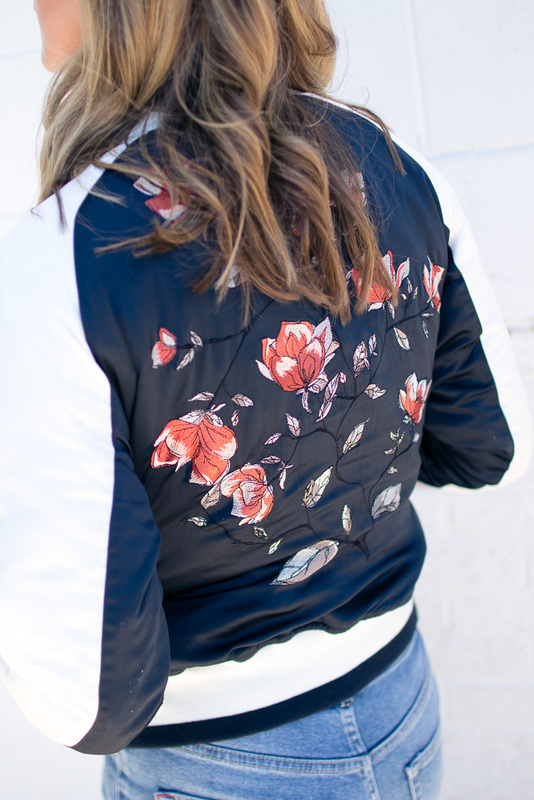 I love the feminine floral details on this bomber. Urban Outfitter’s has a darling selection of bomber jackets to choose from. How cute is this pink one? Urban Outfitters is one of my favorite online places to shop. I am always checking out the new arrivals. Sharing a few favorites from the UO’s new arrivals below. Scroll and click to see items. Great post and site. I like the detailing on the bomber jacket. Bomber is in trend. You are looking cool and I loved your jacket. Can we accessorize this oufit with designer clutch bags or tote bags?